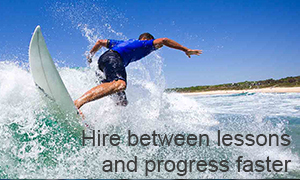 Lets Go Surfing welcomes genuine media inquiries and requests from media organisations. Over the years we’ve worked closely with the national and international press. Director and founder Brenda Miley who started our company out of the back of her van, and helped put women’s surfing on the map, is also available for interviews. Request a free CD-ROM with extensive information about the Lets Go Surfing story and what we offer. Read our archive of media releases. See what the media has been saying about us! Did you know the 'ions' in salt water have been known to cleanse the body of stress... Surf and enjoy!